October 31, 2018, 9:10 a.m.
Last week, Lord Peter Hain - using parliamentary privilege - named Sir Philip Green as the British businessman who took out an injunction to prevent the Telegraph from publishing allegations of sexual and racial harassment. Sir Philip has built a retail empire over the last few decades, with the jewel in his crown Topshop supplemented by brands such as Burton and Miss Selfridge. He had however, attracted criticism as a result of his involvement in the decline of BHS, and the subsequent pension deficit. 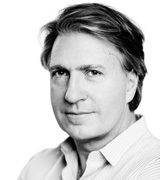 While the accusations are certainly very damaging to Green, many have speculated about the future of Topshop and the rest of the Arcadia brands in the wake of the story. YouGov brand tracking data underlines the initial impact of the headlines on Green’s most famous store. 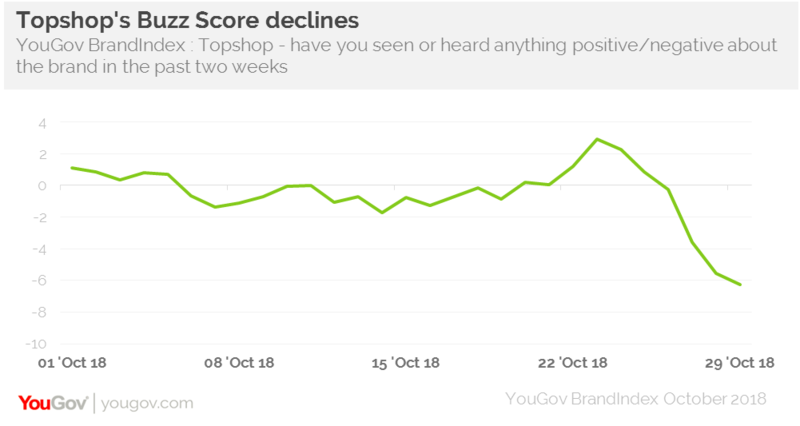 Topshop’s Buzz Score (whether you have heard something about a brand, and if so, if it was positive or negative) among the general public as a whole has declined, dropping from 0 to -7. Among women aged 18-34, the drop is more significant, with Topshop’s score decreasing from +14 to +3. Of course, while the public can notice negative headlines about a company figurehead, this does not automatically lead to a change in opinion about brand itself. In this case, in the space of a few days Topshop’s Impression score among the general public has fallen from +7 to +2. Among women aged 18-34 its score has dropped from +25 to +20. While the news is certainly harmful in the short term, YouGov data has also shown that there are longer-term trends that have impacted on Topshop, and indeed many other Arcadia stores. That is the rise of fast-fashion online companies such as Boohoo and ASOS, which have successfully appealed to Topshop’s core demographic. Both brands have significantly higher Value scores than Topshop among women aged 18-34, for example. With this in mind, even if Topshop was to emerge relatively unscathed from this period, it would still face huge challenges in the months ahead.